Artisan baker Florin Moldovan is hosting another beginner baking workshop as part of the UBC Farm Growing Season Series next Wednesday, March 21st from 6-9pm. His last workshop in January sold out quite quickly, so interested folks are encouraged to register soon! Flour up your hands and get ready to rise into the world of bread. Florin Moldovan will describe the science behind the perfect loaf, the grains that form it and some of the cultural lore of baking bread. 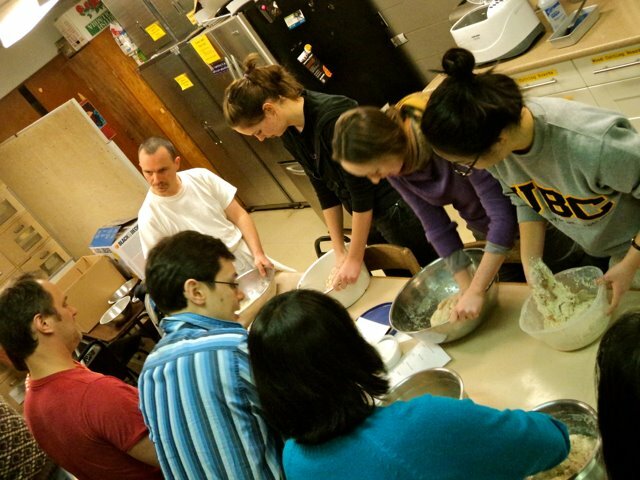 This beginner workshop will provide participants with the techniques needed to make excellent loaves at home using readily available ingredients. Cost: $30 ($1.74+ registration fee). Materials included.